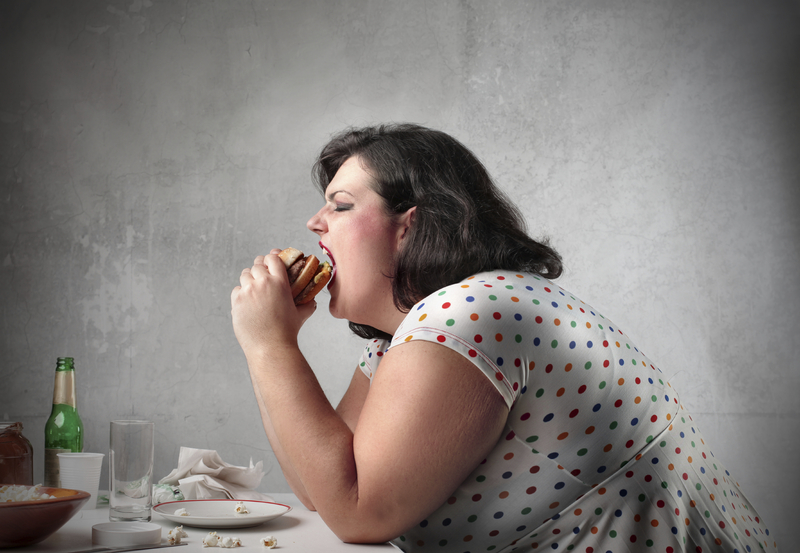 Could dining with a fat friend ruin your diet? The size of your dining companions may influence how much you eat, new research suggests. The heavier that people who eat with you or near you are, the more food you are likely to eat and the less likely that food is to be healthy, said study researcher Brian Wansink, director of the Cornell University Food and Brand Lab, in Ithaca, N.Y. In the study, Wansink evaluated how much food people ate when they ate with an actress who wore a "fat suit" that made her 50 pounds heavier and when they ate with the same person without her fat suit. "What we found happened is that the people who were eating with a person who is notably overweight ended up eating about 32 percent more pasta and about 43 percent less salad," he said. The message, he stressed, is not to avoid dining with people who are overweight but to pay attention to subtle cues to overeat. For the study, Wansink and his colleagues invited 82 college students to eat a spaghetti and salad lunch on four different occasions. They were told the study was about eating behavior among college students. On two occasions, the actress wore the fat suit. One time, she ate more salad than pasta; the other time she ate more pasta than salad. On two other occasions, she did not wear the fat suit. Again, one time she picked more salad than pasta and another time she ate more pasta than salad. She made comments and did such things as drop her fork to draw attention to herself. The researchers tracked what the diners ate, finding that they ate more when the actress wore the fat suit, regardless of how healthfully she ate. While other studies have found that people tend to eat more when other people are there than when alone, the new study showed that "if you change the weight of your companion, it very directly can increase how much you eat," Wansink said. "Even when she served herself more salad [than pasta], everyone else ignored it." While Wansink didn't quiz the students about why they ate more when the actress wore the fat suit, he has some ideas about what might be going on. "There might be the social comparison," he said. One of the students told Wansink he felt he was "pretty skinny" relative to the others, giving himself permission to splurge a bit, perhaps. The findings jibe with previous research about other diners having an effect on what you eat, said Janet Polivy, a professor of psychology at the University of Toronto. Her research suggests that "people look for permission to eat a lot [but just less than someone else, so they are not being excessive]." "Our theory, and it is just a theory, not proven fact, is that people want to eat as much as they can of good foods, but also don't want to look 'piggy' so they look around to see how much is 'appropriate' to eat. We would speculate that being with someone who weighs more than we do allows us to feel like we are somehow entitled to eat more than if we are with someone who seems thinner," she said. The findings ring true in clinical practice, said Karen R. Koenig, a psychotherapist and eating coach in Sarasota, Fla. Her overweight clients have told her that they eat less when they are dining with thin people or those of normal weight. "The key is how can you stay connected to your own appetite, no matter who is there, what they weigh or what they eat," Koenig said. Listen to your body, agreed Polivy, so you eat what is "enough for you." She admits: "This is a difficult thing for most people to do." Wansink suggested keeping the commitment many make before heading out to a restaurant. "Most people, when they arrive at a restaurant order less healthy food and more of it than they intended to earlier in the day," he said. "What we need to do is honor our earlier commitment to ourselves," rather than be caught up in what others are ordering. Although the researchers found an association between what and how much the study participants ate and the perceived weight of their dining companion, the study did not prove a cause-and-effect relationship.